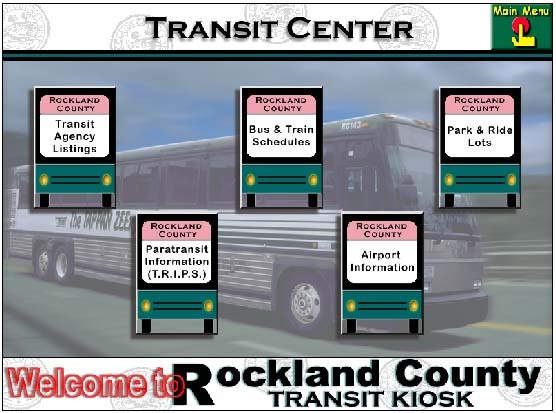 Rockland County deployed a single interactive transit information kiosk to make regional transit information available. The region has eight different transit providers, all of which provide their information in different format. The County's goal is to bring all of this information together in one location for the end user. FutureTouch was responsible for the development and deployment of the interactive kiosk in the Nanuet Shopping Mall. The FutureTouch public transit kiosk provides an easy to use touchscreen kiosk interface for displaying transit routes and schedules, personalized itineraries, and transit route maps.